In a tweet, Yglesias praised the "messaging success" over President Donald Trump's Tax Cuts and Jobs Act. The president signed the bill into law in December 2017. At the time, then-Speaker of the House Paul Ryan (R., Wis.) said the bill would save families making $73,000 per year more than $2,000. "[P]rogressive groups did a really good job of convincing people that Trump raised their taxes," Yglesias said. At the time, Democratic Party messaging insisted the bill was a catastrophe for the middle class. Gov. Andrew Cuomo (D., N.Y.) said "the middle class got the crumbs from the table." Sen. Chuck Schumer (D., N.Y.) claimed the proposal "socks it to the middle class." House Speaker Nancy Pelosi (D., Calif.) said "[e]ighty-six million middle-class families will see a tax increase." In February, Sen. Kamala Harris (D., Calif.) called the tax change "a middle-class tax hike." The Washington Post gave the latter claims two and four Pinocchios, respectively. According to the Tax Policy Center, the average middle class family is keeping almost $1,000 which would have previously gone into government coffers. Monday, Yglesias admitted the bill had in fact been a success. Despite Democratic insistence to the contrary, "the facts say a clear majority got a tax cut." CNBC reporter John Harwood made a similar observation Monday. He cited an NBC/WSJ poll showing "just 17% of Americans think their taxes were cut," despite clear evidence to the contrary. "[N]o wonder Trump/GOP tax-cut is so unpopular," Harwood said. Replying to Yglesias later Monday, Harwood speculated as to why many Americans may not realize they benefit from the cuts. He pointed to a change in withholding tables, which determine how much the IRS keeps from each paycheck to pay taxes at the end of the year. Since the IRS is withholding less from any given paycheck, Americans are owed less in their refund come tax season. The refund is the amount the IRS determines it withheld from a taxpayer's income in excess of the amount the taxpayer owed; the government returns income to which it was not entitled. Now, the government is not taking that income in the first place. The lack of a refund, however, has caused Americans some confusion. On Monday, MSNBC aired a segment on the "psychology" of lower taxes coupled with reduced withholdings. MSNBC host Ali Velshi said a "whole lot of people" are "mad about how this is turning out," despite "paying less in taxes." 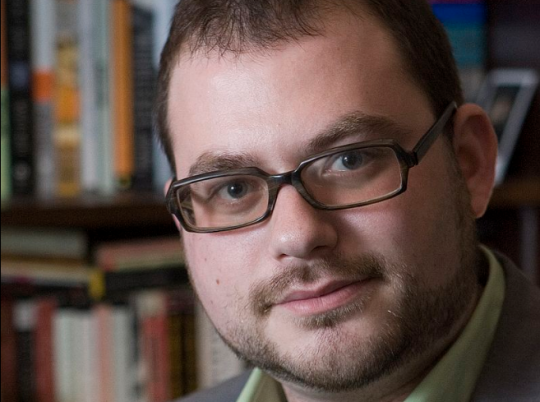 Supporting the Monday segment's finding, Yglesias tweeted Saturday that he was paying less in taxes thanks to Trump. Yet Yglesias shared he was "mad" about the IRS having insufficiently withheld a share of his income. Got a tax cut on net thanks to Trump but for various reasons instead of a small refund I now owe the IRS $1,200 and I’m mad. This entry was posted in Issues, Politics and tagged Matt Yglesias, Tax Reform. Bookmark the permalink.